We hope that you enjoy your stay and will visit us often. Within this Christmas realm, you can find Holiday Screensavers, Recipes, Christmas Stories, Activities for Kids, Christmas Carols and more. Spice up the desktop of your work PC with a great Christmas Screensaver, tell the kids a great Xmas story for bedtime, and share some of our chocolaty hot cocoa around your Christmas tree. All of the content is offered free of charge and, without limitation except where included by the particular author(s). 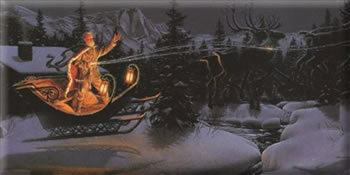 Check out the "Countdown to Christmas"
Send an e-mail to your friends about all the great, free stuff you can get from this site. Everything offered on this site is available at your own risk. Whipnet is not responsible for the use or misuse of the content and or screensavers.